Jos /ˈdʒoʊs/ is a city in the Middle Belt of Nigeria. The city has a population of about 900,000 residents based on the 2006 census. Popularly called "J-Town", it is the administrative capital of Plateau State. Plateau is the twelfth-largest state in Nigeria. Approximately in the centre of the country, it is geographically unique in Nigeria due to its boundaries of elevated hills surrounding the Jos Plateau its capital, and the entire plateau itself. The Jos Plateau is a plateau located near the centre of Nigeria. It covers 8600 km² and is bounded by 300-600 m escarpments around much of its circumference. With an average altitude of 1280 m, it is the largest area over 1000 m in Nigeria, with a high point of 1829 m, in the Shere Hills. The plateau has given its name to the Plateau State in which it is found and is itself named for the state's capital, Jos. According to the historian Sen Luka Gwom Zangabadt,  the area known as Jos today was inhabited by indigenous ethnic groups who were mostly farmers. According to Billy J. Dudley,  the British colonialists used direct rule for the indigenous ethnic groups on the Jos plateau since they were not under the Fulani emirates where indirect rule was used. According to the historian Samuel N Nwabara,  the Fulani empire controlled most of northern Nigeria, except the Plateau province and the Berom, Mwaghavul, Ngas, Tiv, Jukun and Idoma ethnic groups. It was the discovery of tin by the British that led to the influx of other ethnic groups such as the Hausa, Igbo, Yoruba, thus making Jos a cosmopolitan city. The Fula people or Fulani or Fulɓe, numbering between 38 and 40 million people in total, are one of the largest ethnic groups in the Sahel and West Africa, widely dispersed across the region. Inhabiting many countries, they live mainly in West Africa and northern parts of Central Africa but also in, South Sudan, Sudan and regions near the Red Sea coast. The Berom is the largest autochthonous ethnic group in the Plateau State, central Nigeria. Covering about four local government areas, which include Jos North, Jos South, Barkin Ladi (Gwol) and Riyom, Berom are also found in southern Kaduna State local government areas. Mwaghavul is an Afro-Asiatic language spoken in Plateau State, Nigeria. Dialects are Mupun and Panyam. According to the white paper of the commission of inquiry into the 1994 crisis, Ames, a British colonial administrator, said that the original name for Jos was Gwosh which was a village situated at the current site of the city; according to Ames, the Hausa wrongly pronounced Gwosh as Jos and it stuck. Another version was that "Jos" came from the word "Jasad" meaning body. To distinguish it from the hill tops, it was called "Jas", which was mis-pronounced by the British as "Jos". It grew rapidly after the British discovered vast tin deposits in the vicinity. Both tin and columbite were extensively mined in the area up until the 1960s. They were transported by railway to both Port Harcourt and Lagos on the coast, then exported from those ports. Jos is still often referred to as "Tin City". 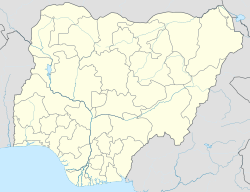 It was made capital of Benue-Plateau State in 1967, and became the capital of the new Plateau State in 1975. Tin is a chemical element with the symbol Sn (from Latin: stannum) and atomic number 50. It is a post-transition metal in group 14 of the periodic table of elements. It is obtained chiefly from the mineral cassiterite, which contains stannic oxide, SnO2. Tin shows a chemical similarity to both of its neighbors in group 14, germanium and lead, and has two main oxidation states, +2 and the slightly more stable +4. Tin is the 49th most abundant element and has, with 10 stable isotopes, the largest number of stable isotopes in the periodic table, thanks to its magic number of protons. It has two main allotropes: at room temperature, the stable allotrope is β-tin, a silvery-white, malleable metal, but at low temperatures it transforms into the less dense grey α-tin, which has the diamond cubic structure. Metallic tin does not easily oxidize in air. Jos has become an important national administrative, commercial, and tourist centre. Tin mining has led to the influx of migrants, mostly Igbos, Yorubas and Europeans, who constitute more than half of the population of Jos. This "melting pot" of race, ethnicity and religion makes Jos one of the most cosmopolitan cities in Nigeria. For this reason, Plateau State is known in Nigeria as the "home of peace and tourism". Despite the fact that the state is inhabited by predominantly Christian communities, clashes have occurred between Christian and Muslim populations. In 2001, the city witnessed violent riots between the divided and Christian and Muslim populations, in which several thousand people died. In 2004, the former governor of Plateau State, Joshua Dariye, was suspended for six months for failing to control the violence. The Igbo people are an ethnic group native to the present-day south-central and southeastern Nigeria. Geographically, the Igbo homeland is divided into two unequal sections by the Niger River – an eastern and a western section. The Igbo people are one of the largest ethnic groups in Africa. The Yorùbá people are an African ethnic group that inhabits western Africa. The Yoruba constitute about 44 million people in total. Majority of this population is from Nigeria, where the Yorùbá make up 21% of the country's population, according to the CIA World Factbook, making them one of the largest ethnic groups in Africa. Most Yoruba people speak the Yoruba language, which is tonal, and is the language with the largest number of native speakers. In January 2011, there were almost daily clashes between Muslims and Christians mobs in villages around Jos; a series of bombs had been detonated during Christmas Eve celebrations a month earlier, killing scores of people. In May 2014, a twin bomb attack in Jos killed 118 people. Between August 2013 and December 2014, a peace process was undertaken by communities living in Jos: the HD Jos Forum  ultimately led to a "Declaration of Commitment to Peace" signed by the participating communities (Afizere, Anaguta, Berom, Fulani, Hausa, Igbo, South-South and Yoruba, as well as women who were represented as their own distinct community). The National Museum in Jos was founded in 1952 by Bernard Fagg,  and was recognized as one of the best in the country. It has unfortunately been left to fall to ruin as is the case with most of the cultural establishments in Nigeria. The Pottery Hall is also a part of the museum that has an exceptional collection of finely crafted pottery from all over Nigeria and boasts some fine specimens of Nok terracotta heads and artifacts dating from 500 BC to AD 200. It also incorporates the Museum of Traditional Nigerian Architecture with life-size replicas of a variety of buildings, from the walls of Kano and the Mosque at Zaria to a Tiv village. Articles of interest from colonial times relating to the railway and tin mining can also be found on display. A School for Museum Technicians is attached to the museum, established with the help of UNESCO. The Jos Museum is also located beside the zoo. The history of Nigeria can be traced to prehistoric settlers (Nigerians) living in the area as early as 1100 BC. Numerous ancient African civilizations settled in the region that is today Nigeria, such as the Kingdom of Nri, the Benin Empire, and the Oyo Empire. Islam reached Nigeria through the Borno Empire between and Hausa States around during the 11th century, while Christianity came to Nigeria in the 15th century through Augustinian and Capuchin monks from Portugal. The Songhai Empire also occupied part of the region. Lagos was invaded by British forces in 1851 and formally annexed in 1861. 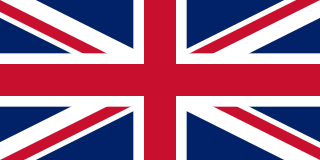 Nigeria became a British protectorate in 1901. Colonization lasted until 1960, when an independence movement succeeded in gaining Nigeria its independence. Hausa–Fulani is a term unique only to Nigeria which collectively refers to the Hausa and Fulani as a people. The two are grouped together because since the Fulani War their histories have become even more intertwined within Nigeria. Although through migration into Hausaland, the Fulani have been part and parcel of Hausa society both as settled and nomadic Fulani since the 1400s. Yorubaland is the cultural region of the Yoruba people in West Africa. It spans the modern day countries of Nigeria, Togo and Benin, and covers a total land area of 142,114 km2 or about the same size as the combined land areas of Greece and Montenegro, of which 106,016 km2 (74.6%), lies within Nigeria, 18.9% in Benin, and the remaining 6.5% is in Togo. The geocultural space contains an estimated 55 million people, the overwhelming majority of this population being ethnic Yorubas. About 5.3 million people are estimated to practise the Yoruba religion worldwide, with the largest number of practitioners being found in Nigeria. The culture of Nigeria is shaped by Nigeria's multiple ethnic groups. The country has 527 languages, seven of them are extinct. Nigeria also has over 1150 dialects and ethnic groups. The six largest ethnic groups are the Hausa and Fulani in the north, the Igbo in the southeast, and the Yoruba predominate in the southwest, the Tiv people of North Central Nigeria and the Efik - Ibibio. The Edo people are most frequent in the region between Yorubaland and Igboland. Many of the Edo tend to be Christian. This group is followed by the Ibibio/Annang/Efik people of the coastal south southern Nigeria and the Ijaw of the Niger Delta. There are perhaps 500 languages spoken in Nigeria. The official language of Nigeria is English, the former language of colonial British Nigeria. As reported in 2003, Nigerian English and Nigerian Pidgin were spoken as a second language by 60 million people in Nigeria. Communication in the English language is much more popular in the country's urban communities than it is in the rural areas, due to colonisation. Bukuru is located on the Jos Plateau in Nigeria. It was previously considered a separate city from the city of Jos close by, but like every other form of urbanization, the city of Jos has merged with the town of Bukuru to form the Jos-Bukuru metropolis. It is the headquarters of Jos South Local Government Area. Nigerians or the Nigerian people are citizens of Nigeria or people with ancestry from Nigeria. Nigeria is composed of multiple ethnic groups and cultures and the term Nigerian refers to a citizenship-based civic nationality. Nigerians derive from over 250 ethnic groups and languages. Though there are multiple ethnic groups in Nigeria, economic factors result in significant mobility of Nigerians of multiple ethnic and religious backgrounds to reside in territories in Nigeria that are outside their ethnic or religious background, resulting in the intermixing of the various ethnic and religious groups, especially in Nigeria's cities. The English language is the lingua franca of Nigerians. About 50 percent of Nigerians are Christians and the other 50 percent are Muslims. Brigadier General (retired) Mohammed Mana was appointed Administrator of Plateau State between December 1993 and August 1996 during the military regime of General Sani Abacha. He was elected Senator for Adamawa North in 2007 on the People's Democratic Party (PDP) platform. The 1966 Nigerian coup d'état began on 15 January 1966, when mutinous Nigerian soldiers led by Chukwuma Kaduna Nzeogwu and Emmanuel Ifeajuna killed 22 people including the Prime Minister of Nigeria, many senior politicians, many senior Army officers, and sentinels on protective duty. The coup plotters attacked the cities of Kaduna, Ibadan, and Lagos while also blockading the Niger and Benue River within a two-day span of time before the coup plotters were subdued. The General Officer Commanding, of the Nigerian Army, Johnson Aguiyi-Ironsi then used the coup as a pretext to annex power, ending Nigeria's nascent democracy. It was one of the events that led to the Nigerian Civil War. The Jos Forum Inter-communal Dialogue Process refers to a peace process undertaken by communities living in Jos, Plateau State, Nigeria. 1 2 "FEDERAL REPUBLIC OF NIGERIA : 2006 Population Census" (PDF). Web.archive.org. Archived from the original (PDF) on March 5, 2012. Retrieved 22 November 2014. ↑ "Petition Online - Petition Online has been retired" . Retrieved 22 November 2014. ↑ Krause, Jana (2011). "A Deadly Cycle of Ethno-religious violence" (PDF). Working Paper. Geneva Declaration: 13. ISBN 978-2-9700771-0-7 . Retrieved 18 October 2015. ↑ Higazi, Adam (January 2011). "The Jos Crisis: A Recurrent Nigerian Tragedy" (PDF). Working Paper. Friedrich-Ebert-Stiftung (2): 17–18. Retrieved 19 October 2015. ↑ Tattersall, Nick (2011-01-30). Fullerton, Elizabeth, ed. "Buildings burn, death toll mounts in central Nigeria". Reuters Africa. Retrieved 2014-02-28. ↑ Onimisi, Alao (2014-12-12). "Plateau communities make commitment to peace". Daily Trust . Retrieved 2015-11-05. ↑ "Jos, Nigeria: Climate, Global Warming, and Daylight Charts and Data". Jos, Nigeria: Climate-charts.com. Retrieved 2013-12-10. ↑ "Publications" (PDF). Iahs.info. Retrieved 2013-12-10. 1 2 "Climate: Jos - Climate graph, Temperature graph, Climate table". Climate-Data.org. Retrieved 2013-11-26. ↑ "Jos Climate Normals 1961–1990". National Oceanic and Atmospheric Administration . Retrieved 22 July 2016. ↑ "History The College". ANAN. Archived from the original on 2011-08-11. Retrieved 2011-06-11. Wikimedia Commons has media related to Jos .